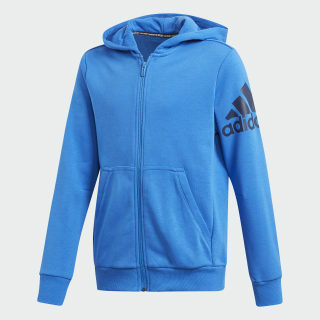 A hooded jacket for gym class and after-school practice. Throw on this jacket when cool weather rolls in. 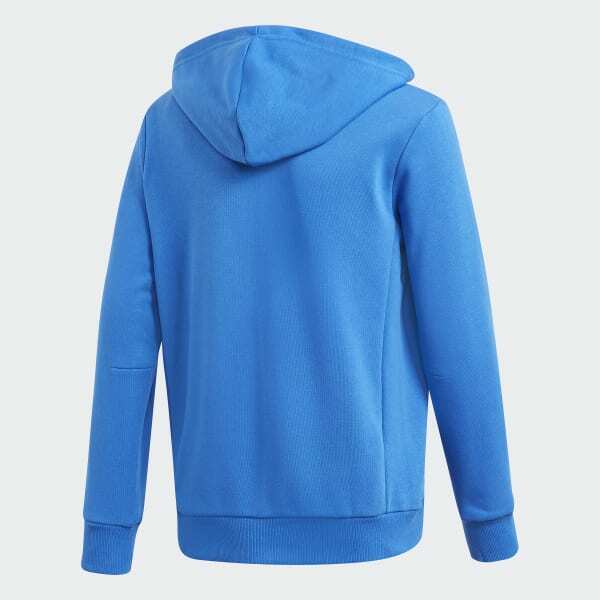 This junior boys' full-zip jacket is made of soft French terry. The lined hood provides added warmth while the kangaroo pockets store small essentials. An adidas Badge of Sport on the arm adds a sporty finish.